Leadership is a concept that has been discussed since the beginning of history. Even though there have been many theories in the field accepting leadership’s role in bringing order, chaotic aspects of leadership are generally neglected. This chapter aims to examine the leadership beyond an orderly interpretation of universe. For this purpose, Third Reich period and leadership during this period will be examined. Ian Kershaw’s “Working Towards Führer” concept provides a unique understanding of leadership concept. It goes beyond the dualist depiction of Third Reich, it does not state Adolf Hitler as an all powerful dictator, or a weak one. Rather, he expresses that due to the conditions in the Third Reich, Adolf Hitler was both of this. This complex situation can be understood deeper when it is examined through the lens of chaos theory. 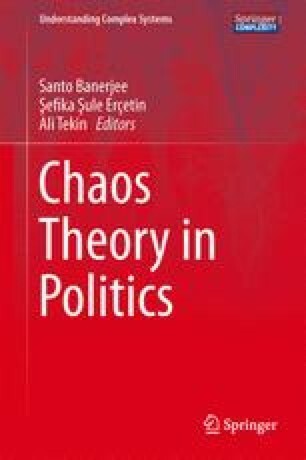 This study contributes to the field by being the first in using chaos theory for examining “Working Towards Führer” concept and its development. Seemingly orderly nature of synchronization process and its vortex will be shown. Adolf Hitler’s storm spot position in the chaotic system and its dynamics are explained. War’s entropic power and its effect on the downfall of the system is crucial in understanding this unique chaotic system. The chaotic pattern of “Working Towards Führer” offers an opportunity to analyze the complexities of the leadership concept. Gleick, J. (1985, November 12). Jupiter’s baffling red spot loses some of its mystery. New York Times. http://www.nytimes.com/1985/11/12/science/jupiter-s-baffling-red-spot-loses-some-of-its-mystery.html.